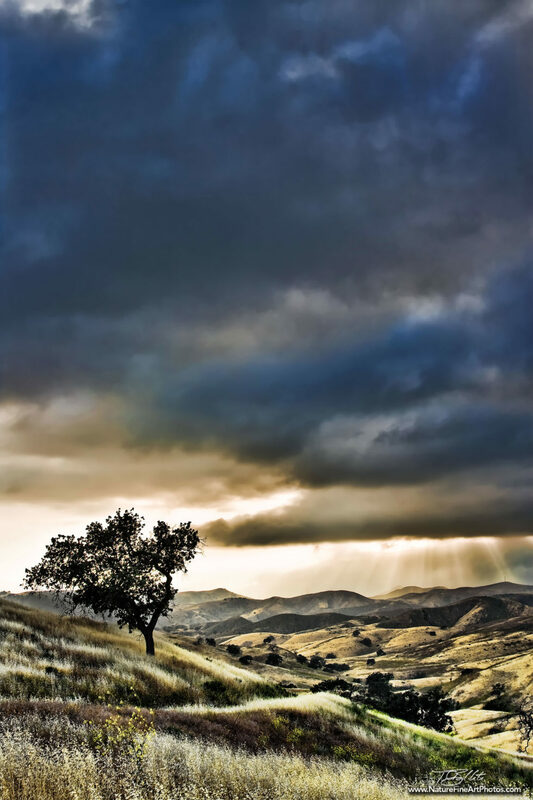 The lone oak in the foreground is looking over the vast Ahmanson Ranch, waiting and watching as the sun fades to the west and sheets of rain dance across the valley. I captured this scene in color and black and white and merged the photos to enhance the dramatic scene. The planned development on this land was halted by the people of Southern California and kept forever wild.